Acute lymphocytic leukemia (ALL) is a type of leukemia that mostly affects children, although it can affect adults as well. It is also referred to as acute lymphoblastic or acute lymphoid leukemia. ALL affects immature lymphocytes—a type of white blood cell—known as blasts. ALL is actually the most common cancer in children, responsible for around 25 percent of childhood cancers. Close to 7,000 people develop ALL each year with around 1,500 deaths, though roughly two-thirds of those who die are adults. This disease is one which progresses rather quickly and is characterized by a large number of immature white blood cells in the blood and bone marrow. While in the past this was a rapidly fatal disease, it is now largely survivable with chemotherapy. Such a description of being both aggressive and survivable at the same time can be confusing for some people, especially if you happen to read an old medical textbook which describes ALL as an extremely aggressive cancer. Therefore, it can help to think about how chemotherapy works, by attacking the most rapidly dividing cells. In an era in which we have excellent chemotherapy medications, having an aggressive cancer may in some ways be considered "better," at least in the realization that we have a way to aggressively treat the disease. Tumors that are slow growing, in contrast, are less likely to be curable with chemotherapy. And while this cancer, unfortunately, occurs in children, children often do much better than adults with the disease. Lymphoblasts are an immature form of the type of white blood cell known as lymphocytes. In the bone marrow, a process called hematopoiesis takes place, which basically means the formation of our immune and blood cells. Since lymphoblasts "live" in the bone marrow, all types of blood cells including white blood cells, red blood cells, and platelets can be affected. The white blood cells which are produced—even if greater than normal in number—do not work as well as usual and there is often a decreased number of other forms of white blood cells, red blood cells, and platelets. It may be helpful to understand right away that, unlike some cancers, chemotherapy for ALL is often done over a period of a few years, rather than a few weeks. Induction therapy (remission induction)—When ALL is diagnosed, the first step is to lower the count of blasts and restore the production of normal cells in the bone marrow. This involves aggressive chemotherapy and is sometimes done as an inpatient. When this step is done, someone with ALL is usually in remission. Consolidation—The next step (considered one of the steps in post-induction therapy) is to "clean up" any cancer cells which have been "left over" after induction therapy. Maintenance therapy—Even after this cancer is in remission, and further treatment has eliminated any lingering cancer cells, it has a tendency to recur without further treatment. Maintenance therapy is designed to prevent recurrence of leukemia and result in long-term survival. Prevention/CNS treatment—If ALL is present in the cerebrospinal fluid, intrathecal chemotherapy is usually done, since most chemotherapy drugs do not cross the blood-brain barrier. For many children and adults who do not have CNS involvement, treatment (including this as well as possibly radiation therapy) is done to prevent cancer from showing up or recurring in the brain. The prognosis for children is somewhat better than adults for ALL. Currently, close to 95 percent of children achieve remission and upwards of 80 percent of children will go on to long-term survival with the disease. Often times it is a child experiencing ALL, so support needs to be directed at both the children living with ALL and their parents. Learn as much as you can about the disease. Reach out for help. Treatment for leukemia is a marathon rather than a sprint and it can help to let some of the people offering help know that you don't need it right away, but to please help out as time goes on. Support for children with cancer has improved dramatically over the past decade and even camps for children coping with the disease now exist all over the country. These camps help kids feel like they aren't missing out on what their peers without cancer are enjoying. 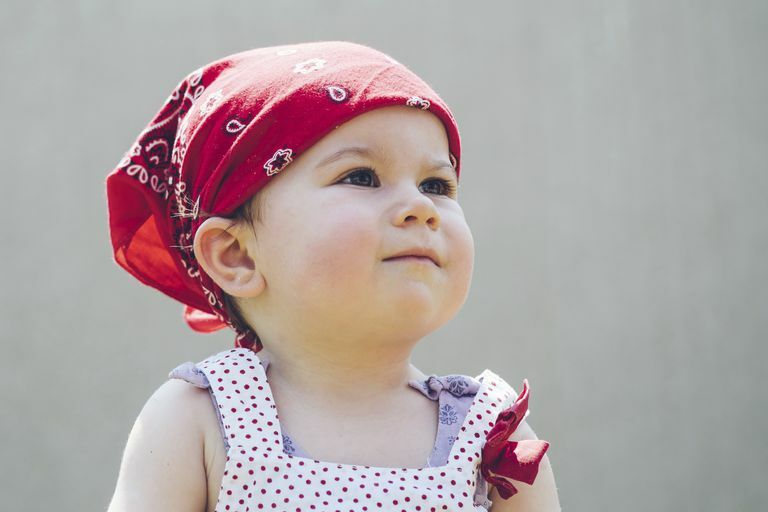 What Are the Signs of Childhood Cancer? Does Chemotherapy Affect Your White Blood Cell Count? Can I Drink Alcohol During Cancer Treatment? What Is the Lowest Point of Chemotherapy? Can You Drink Alcohol During Chemotherapy Treatment? What Should You Know About the Immuotherapy Drug Opdivo?